If you've been looking longingly at hasselback potatoes but craving a less-starchy alternative, we've got it. Hey, Internet: We see your fancy, cheese-topped, sliced potatoes, and we raise you our fancy, cheese-topped, sliced zucchini! Place zucchini on the center of the foil, and cover with another large piece of foil. Fold together and seal all four edges of the foil pieces, forming a well-sealed packet. Remove sheet, and let cool for 5 minutes. Set oven to broil. Cut packet to release steam before removing the top piece of foil. Sprinkle zucchini with salt and pepper. 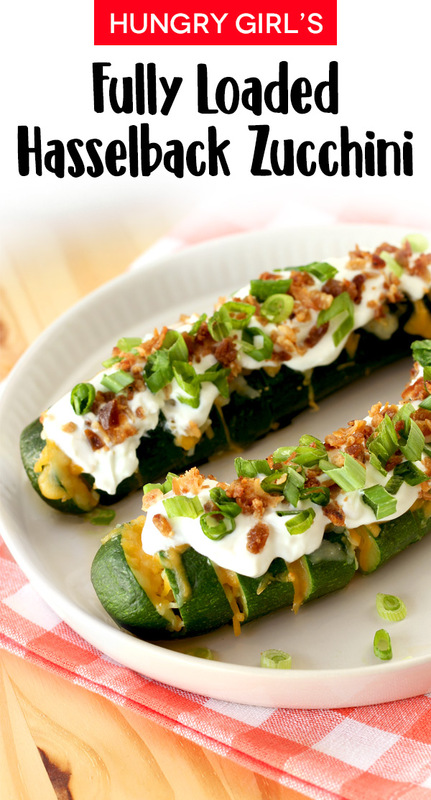 Carefully sprinkle cheese into the slits of the zucchini. Broil until cheese has melted and lightly browned, about 1 minute. 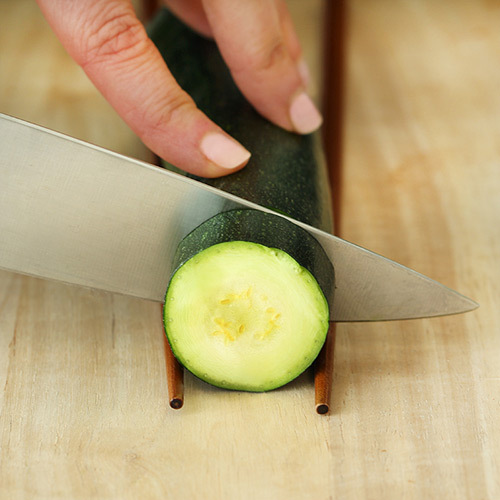 HG Tip: When slicing each zucchini, place it between two chopsticks on the cutting board. This will prevent you from slicing through to the bottom. Check out this how-to photo! 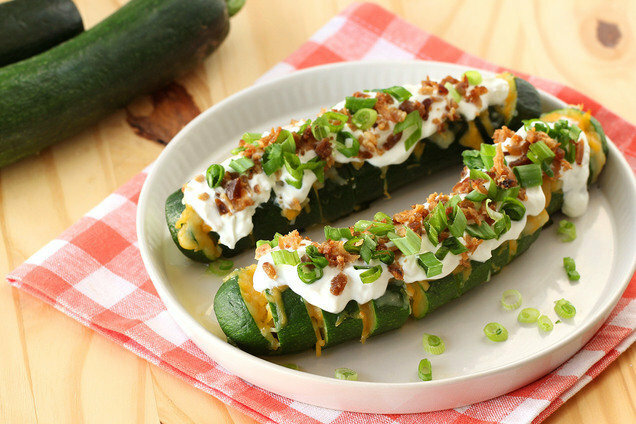 Hungry for More Unexpected Zucchini Recipes? It's May 15th, which means… Happy National Chocolate Chip Day! In honor of today’s recipe and today’s food holiday, please enjoy these chocolate-studded cream cheese brownies with hidden zucchini!